Wales - I Say Ding Dong Shop - Buy Stickers, Decals & Unique Automobilia. Crossed Union Jack & Welsh Dragon Flag Sticker. 4". 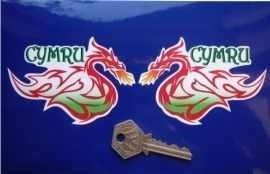 Cymru am Byth Welsh Number Plate Dealer Logo Cover Stickers. 140mm Pair. Cymru Welsh Dragon Style Stickers. 4" Pair. Dragon Style Handed Self Adhesive Bike/Car Badges. 3" Pair. Made in Wales Sticker. Cut Vinyl. 4". 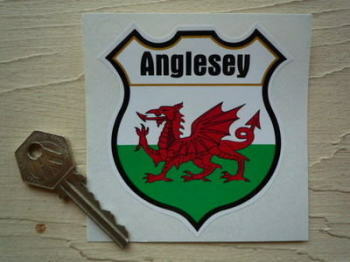 Wales County Shield Sticker. 3". Wales Flag Helmet Visor Straight Sunstrip Sticker. 12". 35mm or 50mm Tall. Wales Flag Worn & Distressed Helmet Visor Straight Sunstrip Sticker. 12". 35mm or 50mm Tall. Wales Personalised Shield Sticker. 3". Wales Red Dragon Flag Helmet Visor Sunstrip Sticker. 12". Wales Volkswagen Campervan Travel Sticker. 3.5". 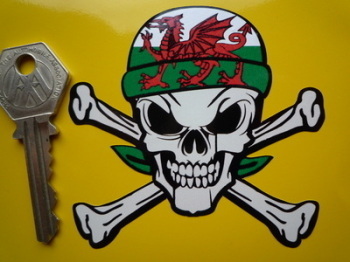 Wales Welsh Dragon Bandana Skull & Crossbone Sticker. 3". Wales Welsh Dragon Circular Laser Cut Self Adhesive Car Badge. 25mm. 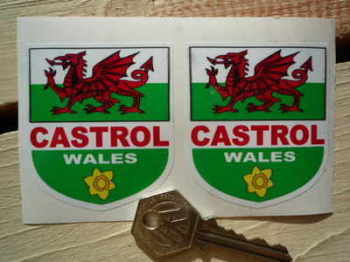 Welsh Dragon & Castrol Shield Stickers. 2" Pair. Welsh Dragon Cut to Shape Stickers. Bright Red. 3", 4", 6" or 7.5" Pair. Welsh Dragon Cut to Shape Stickers. Dark Red. 4" or 6" Pair. Welsh Dragon Flag Fade To Black Oval Stickers. 3" Pair. 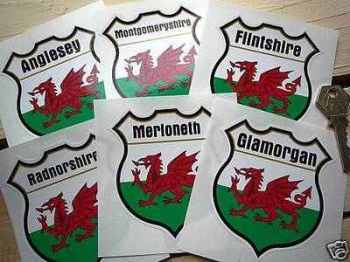 Welsh Dragon Flag Oblong Stickers. 45mm Pair. Welsh Dragon Flag Splat Style Stickers. 4" Pair. Welsh Dragon Flat Wavy Style Flags Stickers. 2" or 4" Pair. Welsh Dragon on Union Jack Stickers. 1.25" or 4" Pair. Welsh Dragon Shaded Wavy Style Flags Stickers. 2" or 4" Pair. Welsh Flag Small Coloured Stickers. Set of 6. 25mm.